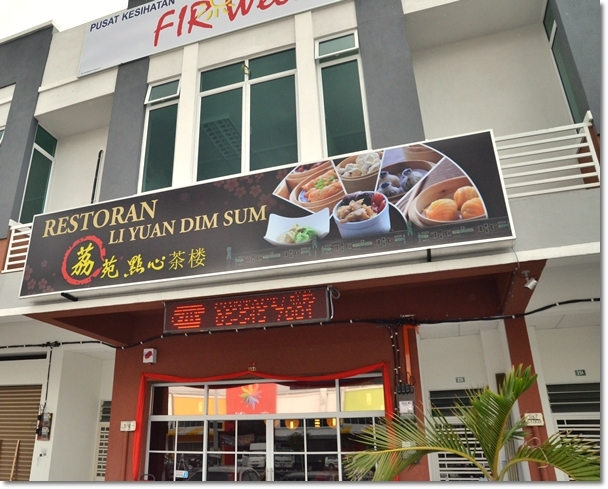 Li Yuan Dim Sum @ Medan Ipoh Bistari – Don’t I Know You From Somewhere? Indeed the name rings a bell. You remember Qi Yuan in Greentown? The dim sum house that opens until 1pm daily; and routinely packed with blue-collar workers on weekdays; while families and even tourists throng the place on weekends. Li Yuan is opened by the same brothers. 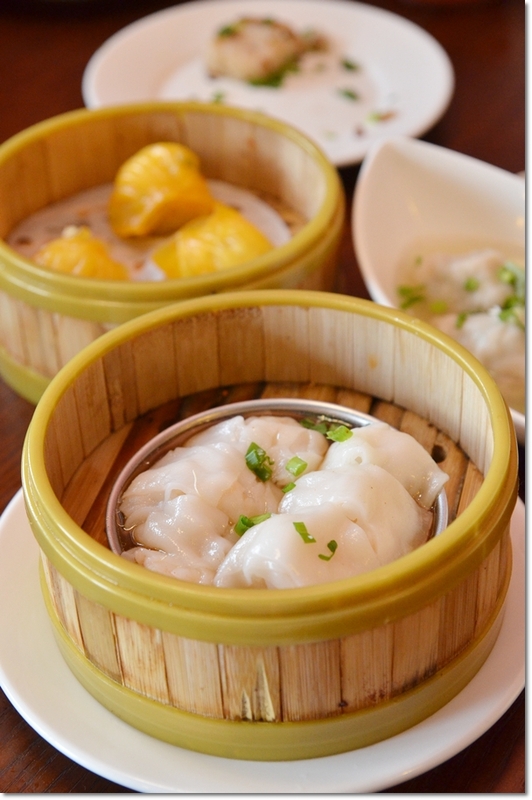 While Qi Yuan dabbles on a mixed Shanghai and Cantonese dim sum and noodles, Li Yuan is their brainchild for Beijing style of dumplings and slightly different style of dim sum; plus several varieties of steamed rice with toppings (“zhung zhai fan”). Steamed rice rolls (or Hong Kong chee cheong fun to you and me) are NOT readily available in the menu, but may come as a surprise special of the day. Where Qi Yuan caters to mostly the breakfast crowd, Li Yuan has extended business hours to accommodate the hunger pangs in the late afternoon. If I remember correctly, they are opened until 4pm daily, and there are plans to go beyond that. The simple menu of 6 or so pages cover mostly the basics; almost 20 types of dim sum, 11 types of dumplings and 5 choices of steamed rice. Everything is still priced pretty reasonably, I might add; the steamed rice is priced at around RM5/USD1.70 while the regular dim sum selections hovers around RM3.50-RM5.00 per portion. Indeed, if you come in a larger group of say, 8 pax or more, you can easily wallop the entire menu. Yet left with much pride and dignity and walking out without a hole in your pocket. We sampled a few of their recommended items; noteworthy ones include the orange-tinted prawn dumplings; with the dumpling skin made in-house with essence from carrot juice. The green tea egg tarts came in a delightfully crumbly cookie base, while the signature Two Variety Dumplings in Chicken Stock tasted fresh; packed with succulent fillings of minced pork and served in the chicken stock that was beyond the ordinary oily, chicken soup. However, the misses came in the form of Pan fried Carrot Cake with Dried Scallops which was a greasy mess and fared poorly although the innovative idea of embedding bits of dried scallops and waxed sausages was novel. The Three Variety Siew Mai appeared luscious aesthetically in the menu, yet somewhat lacklustre in terms of flavours and actual presentation. The steamed rice came in a portion that was barely sufficient for one; but that’s understandable considering that you should not allocate all stomach space for the rice anyway. 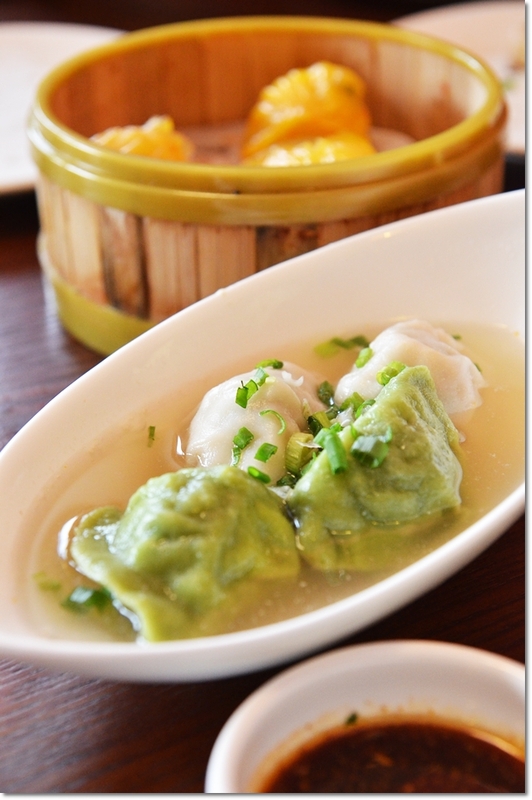 Try a variety of their signature dumplings (all ELEVEN of them! ), their highly-recommended Spring Rolls with Jackfruit (which we missed), and their braised spare ribs with rice. A good thing here is that, assurance was given that they are constantly trying out new combinations and items that work; and slowly inching their way to the menu. 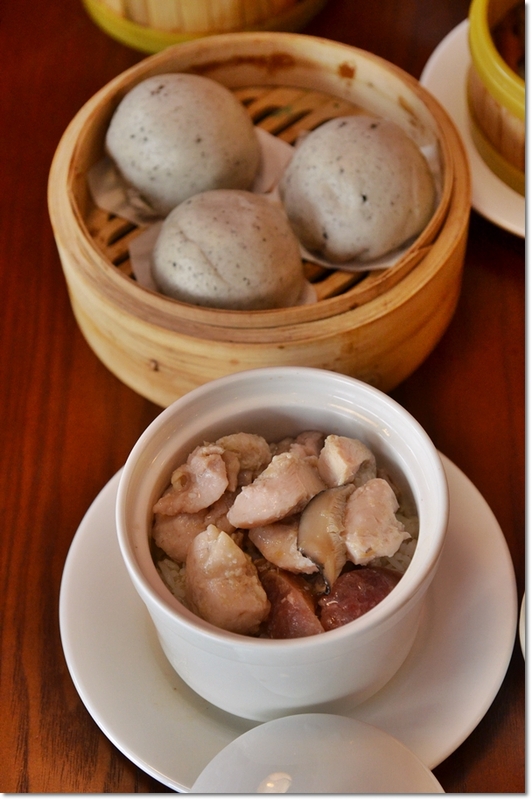 Likewise for their Qi Yuan branch in Greentown; whereby they have revamped the menu with new items; including more noodles and even the crazily-popular ‘Lau Shar Bao’ in a purple-hued yam buns! 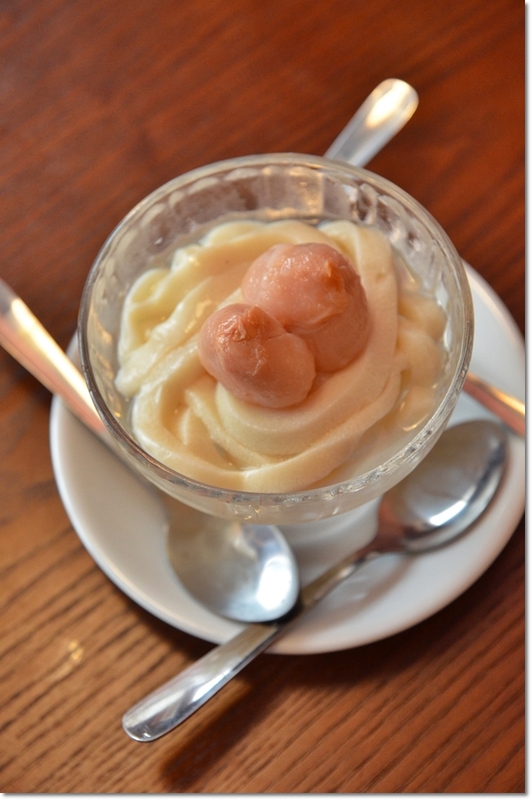 Beancurd Ramen with Lychee – Refreshing strands of ‘tau fu fah’ to cap the dim sum feast with. Alternately? Try their Gui Ling Gao. All in all, Li Yuan looks promising in spite of the several disappointments. For one; the advantage lies in the ample parking spaces in front of the shop and within the surrounding area. Directly opposite of this shop you can find Festival Walk; the up-and-coming spot to be (and to dine; obviously, judging from Sushi Zento’s popularity! ); while there are bound to be more exciting developments in the near future. *Pretty easy to locate, since this is very near to Tesco in Ipoh Garden East, and off Jalan Tasek. Turn LEFT into Medan Ipoh Bistari after passing by the row of shops after McDonald’s and Petronas – Turn LEFT from the main road of Jalan Tasek (if you are coming from Bercham or the highway’s direction towards town), in between the row of multi-storey shoplots. You will pass by Festival Walk on your LEFT, and see Li Yuan on your RIGHT. 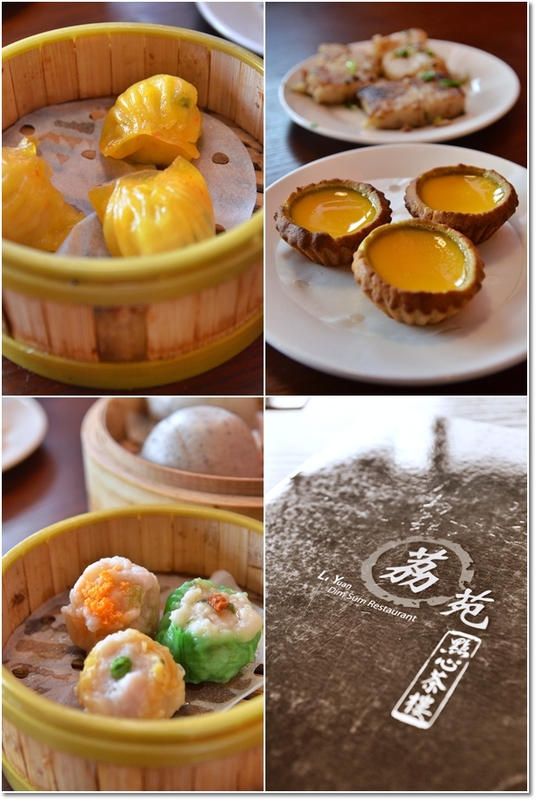 I personally prefer it as high tea picks..
Dim sum is ordinary, lack of fried dim sum variety, although the rice dishes are not bad. I will personally never visit them again bcos of a bad experience with Groupon vouchers and their strict, strict adherence to the terms and conditions. There are other better places nearby with a less hoity-toity attitude. Chooi Yue in Ipoh Garden South for instance. Chooi Yue is good, no doubt. Comparing Li Yuan to their first venture, Qi Yuan; I still prefer the latter. But what’s this bad experience with their Groupon offer? Mind sharing?